Here, we’re giving you our top picks for the best personal microdermabrasion device that you can use at home for your DIY microderm treatments. Why do you need one? Because first, microdermabrasion worked for your friend (or someone you know), and you also want to reap its benefits. Say hello to luminous, glowing skin! Second, you want pro-level treatments but you just don’t have the time to go to the skin clinic. Really, who wants setting up appointments? Last, you’re going to save hundreds of dollars. Need we say more? Oh by the way, we’re not talking about those handheld microderm devices, but we have a list of those, too, if you need one for traveling. We’re talking about microdermabrasion machines that professionals use. We’re talking about a solidly-built equipment with a powerful suction, multiple diamond tips, and other parts that need to be set up. 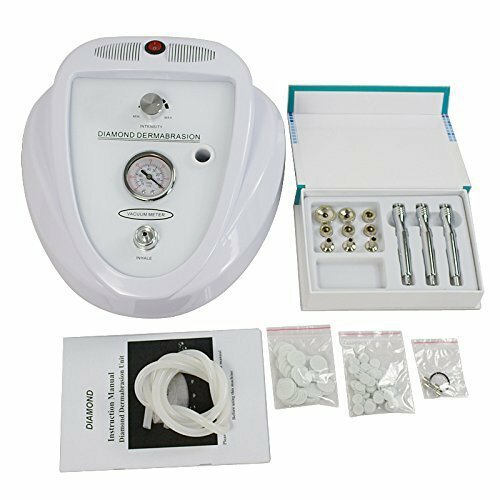 There are two types of microdermabrasion machines as far as working mechanism is concerned. One is crystals-based, and the other makes use of diamond tips. Each has its own pros and cons, but many people now prefer diamond microderm machines because they don’t have to worry about ingesting stray crystals. 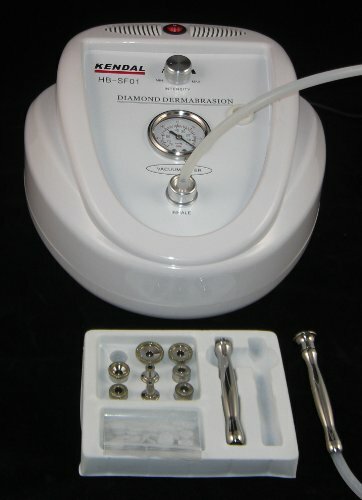 The Kendal HB-SF01 is a CE-certified diamond microdermabrasion system that provides 9 diamond tips of varying sizes, ranging from fine to coarse. It means that aside from your face, you can also target other parts such as the knee and elbow areas. 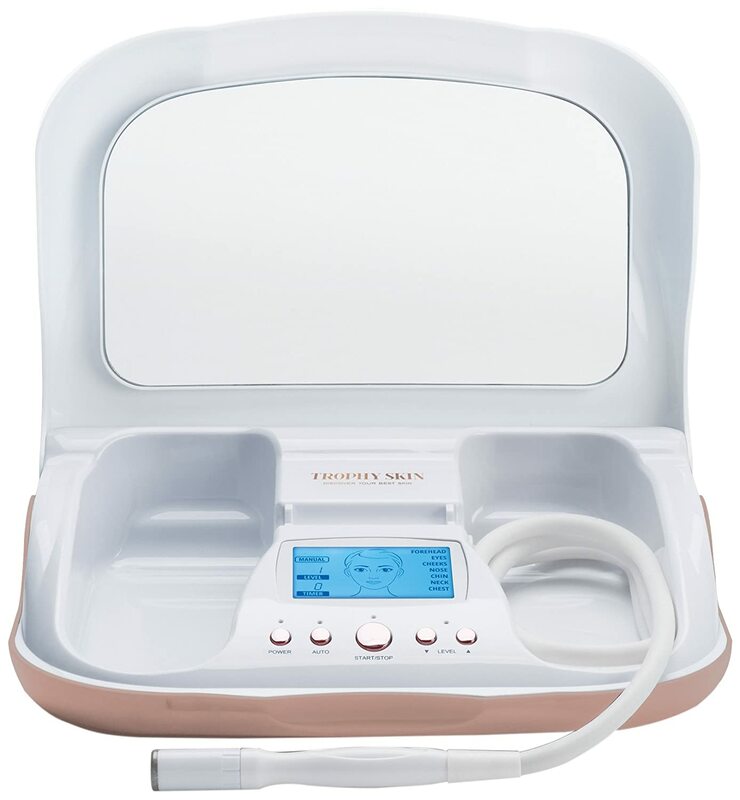 They Zeny LW-60 Microdermabrasion Machine is another crystal-free personal microderm device. It also has 9 diamond tips that target age spots, melasma, dull complexion, uneven skin tone, and acne scars and marks. One user has a sound advice: Stop wasting your money at the skin clinic. Go get the best personal microdermabrasion device. We agree. Not only is it expensive to go to a derma clinic, but it’s also time-consuming. It’s not really sustainable. One of the most popular brands of personal microderm device kit out there is Trophy Skin. So far, they have 3 microderm-related products, and one of them is the MicrodermMD microdermabrasion system. Unlike the other units featured on this post, the MicrodermMD comes with a sleek exterior. It comes with a patented Diamond Tip wand, an LED display, and it even has its own magnifying mirror! When it comes to longevity, the New Spa microdermabrasion machine has been proven to last – at least according to one user who said she’s been using her New Spa device for over 3 years now. This at-home microdermabrasion device kit includes 2 wands, 9 diamond tips, and other freebies such as a headband, facial cleaner, and an after-treatment DMAE serum.